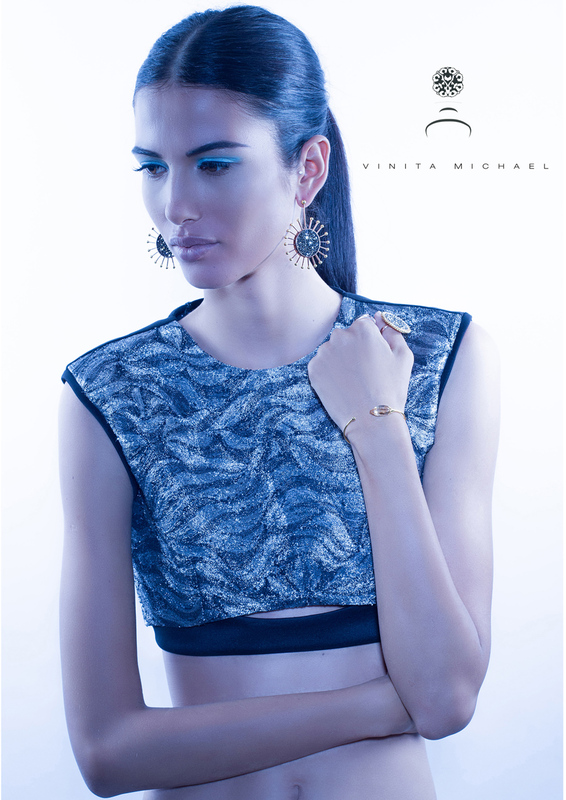 Award winning jewelry designer and gemologist, Vinita’s eponymous label strives to bring together the magnificence of unique design conceptualizations and intricate craftsmanship, in the form of jewelry and precious lifestyle products. Filigree, Repousse', Chasing, Engraving and Etching are some of the many rich metal crafts of the Indian Subcontinent that have encouraged her to experiment with the limitless possibilities in exploring the metallic surface. Today, Vinita specializes in both Fine Gold set with precious gems and Sterling Silver jewelry.